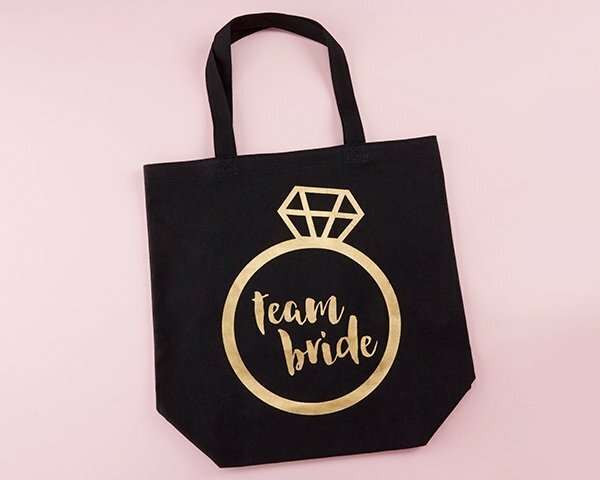 Let everyone know who's team they're on with our Team Bride Canvas Tote! 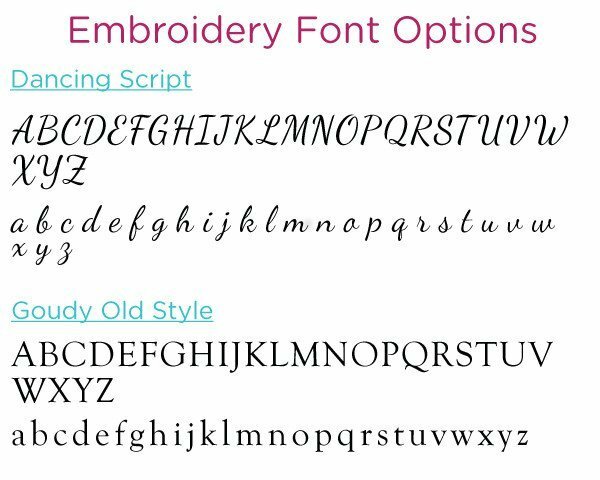 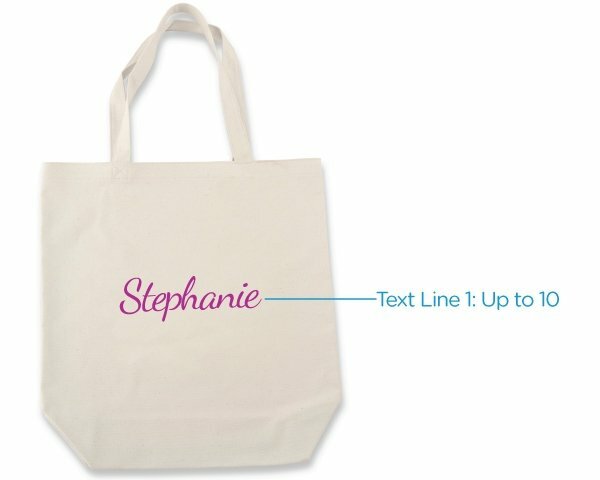 This bridal party tote bag is perfect for getting ready for the wedding, bringing goodies along to the bachelorette party, or prepping for the bridal shower, and it's a bridal party gift your team can use time and time again. 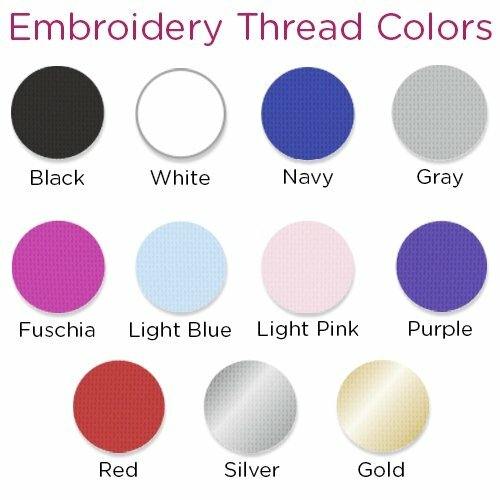 Made from sturdy black canvas with gold foil print, it fits right in with all wedding themes! 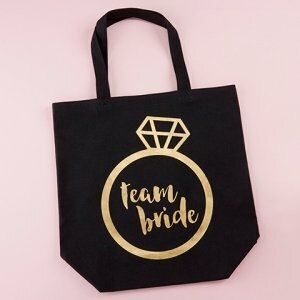 Black canvas tote with gold foil "Team Bride" and diamond ring design.